Each Set includes 10 Doilies! 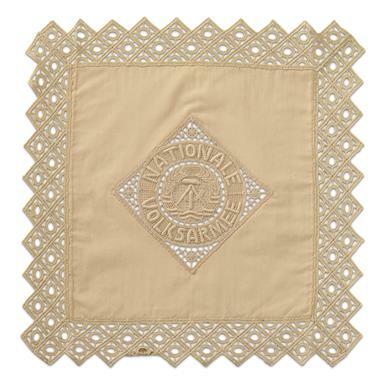 Each is 11.5" x 11.5"
Originally these Doilies were awarded to East German veterans upon honorable discharge. 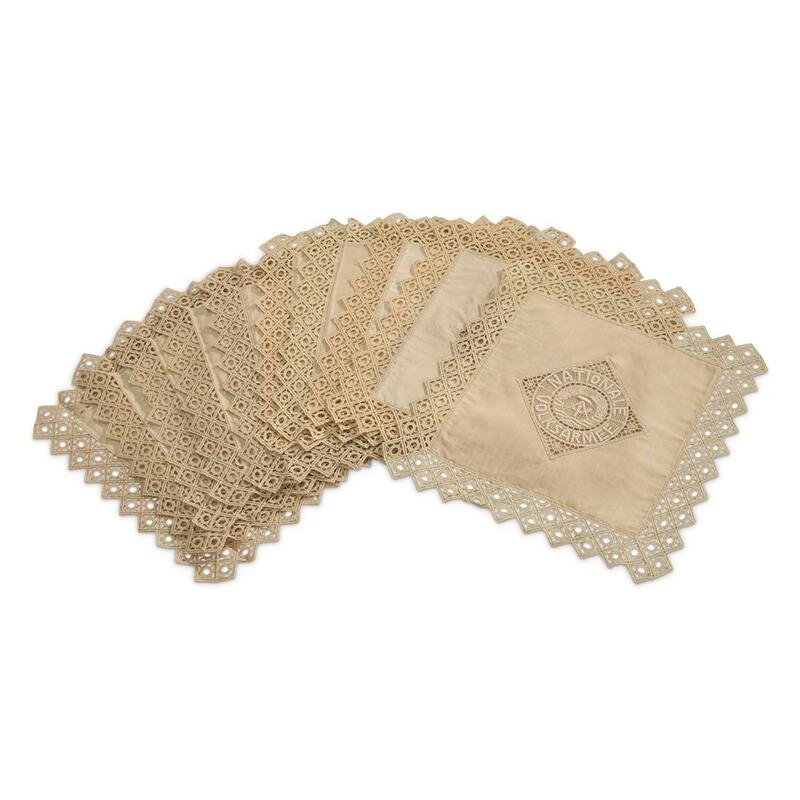 Manufactured using "Plauener Spitze" (Plauen Lace), a famous German machine-made industrial lace produced since the 1800's. 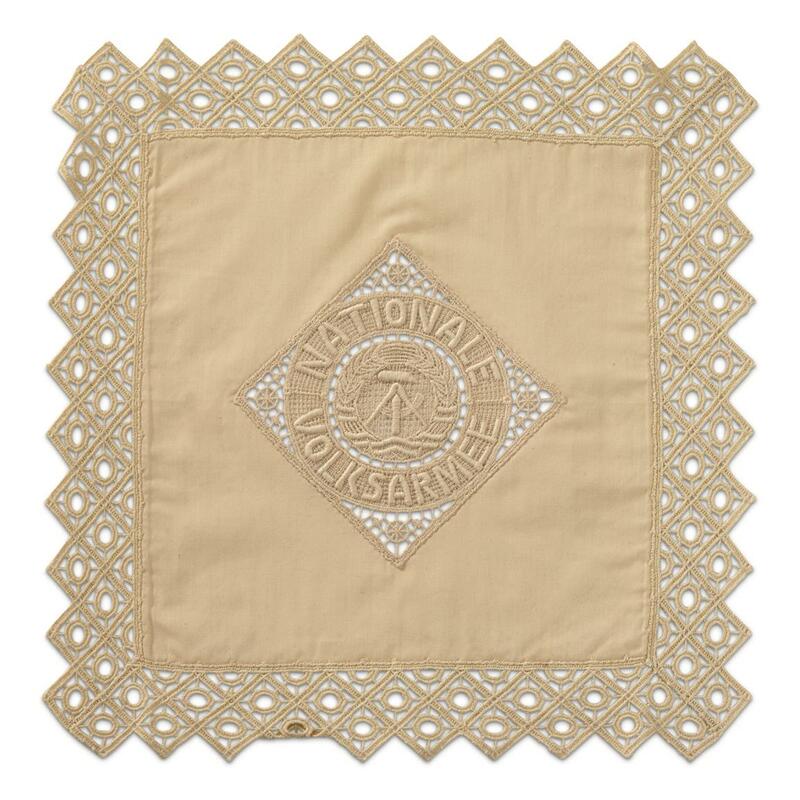 Boldly embroidered with the insignia of the Nationale Volksarmee (National People's Army), the former armed forces of East Germany. An instant conversation piece, ready to spruce up your study with timeless military style. The German town of Plauen led the European manufacture of machine-made lace since the first industrial-scale machines were developed in 1880. During World War II, over 80% of Plauen's industrial capacity was destroyed. Located on the eastern border of Germany, postwar the devastated community fell within the Soviet sphere of influence and became home to a massive Red Army garrison. Plauen soon found a place in the Soviet planned economy, continuing to manufacture lace for military and government contracts. In 1989, Plauen became the site of one of the first mass demonstrations against the communist government, one of many that lead to German Reunification in 1990.